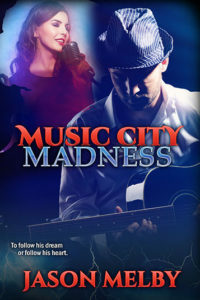 Inspired by true events, Music City Madness tells the story of Nashville singer-songwriter, Leland Presley, who finds his quest for superstardom hindered by unforeseen tragedy and a passionate romance that follows. As the poignant novel unfolds, Leland evokes a range of emotions through a dozen songs written and performed by himself—each timely composition more powerful, and relevant, than the one before, until a vulnerable Leland must confront a life-altering decision to follow his dream or follow his heart. Music City Madness is currently available from Amazon, Barnes & Noble, iTunes, and other major book retailers.